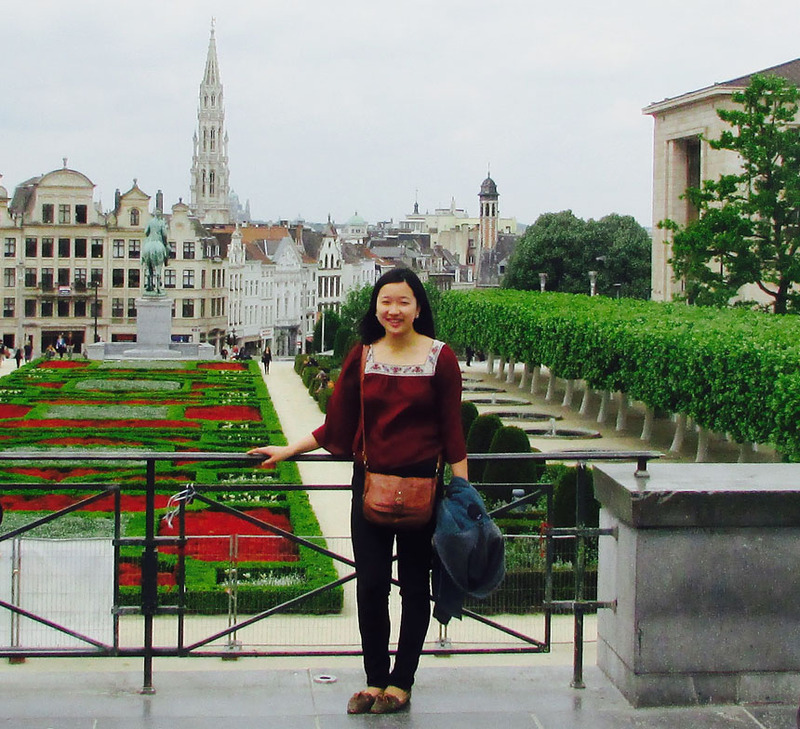 Sophie Zhang '17 of electrical and computer engineering visited the Mont des Arts in Brussels, Belgium, where she spent the summer of 2016 doing an internship with a start-up company. Below is her account, written for EPA, the study abroad program she participated in. Before I came to college, I would never have thought that I would have my first professional experience at a start-up company in electrotechnical healthcare industry in Belgium. This past summer, I participated in EPA Brussels program through University of Rochester Center for Education Abroad office and had one of the most unique and rewarding summer of my life in a beautiful European city – Brussels! EPA program offered me a chance to enhance both my professionalism and world-traveling experiences. I not only got to learn about technical entrepreneurship, business operations and software development, but also was able to meet people from all over the world and traveled to different countries. I worked as an operations assistant at a Belgian start-up, LindaCare, this past summer. LindaCare is a software company that specializes in cardiac health tele-monitoring technology. LindaCare’s main product, OnePulse, aims to provide a unified alert platform for healthcare professionals to monitor patients’ cardiac health conditions remotely. My main job this summer was to select a company operations quality management system and a software development guide to help LindaCare prepare for future external auditing and managing their business processes. It was my first time working in a real company and interacting with people outside academia so it was quite nerve-wrecking at the beginning. However, everyone at LindaCare is very friendly and was willing to answer any questions I had during my internship so my nervousness quickly went away after a few days. In addition, EPA Brussels Program Director Ms. Jennifer Palumbo works in the same building as me, so it was great to see a familiar face during lunch breaks and know that someone is close by if I needed any help. I also had one-on-one meetings with my direct supervisor, Mr. Nicolas Giraud every Wednesday, so it offered a chance for me to ask any questions I had and to discuss about next work’s assignment with him. Mr. Giraud also brought me to many business meetings with him to help me get more insights about how LindaCare does its business: I sat in patent application meetings, subsidy application meetings, etc. I not only learned how LindaCare plans to grow as a start-up through those meetings, but also was able to interact with other business professionals, such as patent application engineers and subsidy consultants, and learn about professionalism from them. In addition, I enjoyed and benefited from numerous conversations I had with my colleagues. Shahram, CEO of LindaCare, once gave us a presentation about the company review. He went over all of the company logistics and growth plan, but also stressed that a person’s physical and mental health, his or her family and profession are like a triangle, only when three areas were all taken care of, this person can achieve his or her potential and live a fulfilling life. He also told me that it’s very important to keep an open mind and work on my adaptability, since we live in a modern world where technology advances so quickly, if we are stubborn and stagnant about the past, we will be left behind. All of those life lessons I learned from my colleagues are truly inspiring and helped me understand what I need to do in order to succeed in the future. Besides all of the serious work and philosophical life lesson discussions, LindaCare also took me sailing one weekend. All of LindaCare employees, from founders to business managers to software developers to interns, we sailed on the ocean and had a fancy dinner afterwards. I never thought I could have so much fun with people who are my parents’ age, but I indeed had the best weekend of my life at the company outing event in Knokk, Belgium! I am truly thankful and glad that I had this opportunity to take an internship in a foreign country this past summer. I realized that I want to pursue a career in technology consulting through this internship experience and as I am actively searching for jobs, my experience with LindaCare provides so many topics for me to talk about with potential employers, and all of the professional skills I learned came in handy during job interviews. Thank you, EPA, for offering me such a great opportunity to grow, learn, while having fun! Read more about her experiences at a blog she wrote for University Admissions. 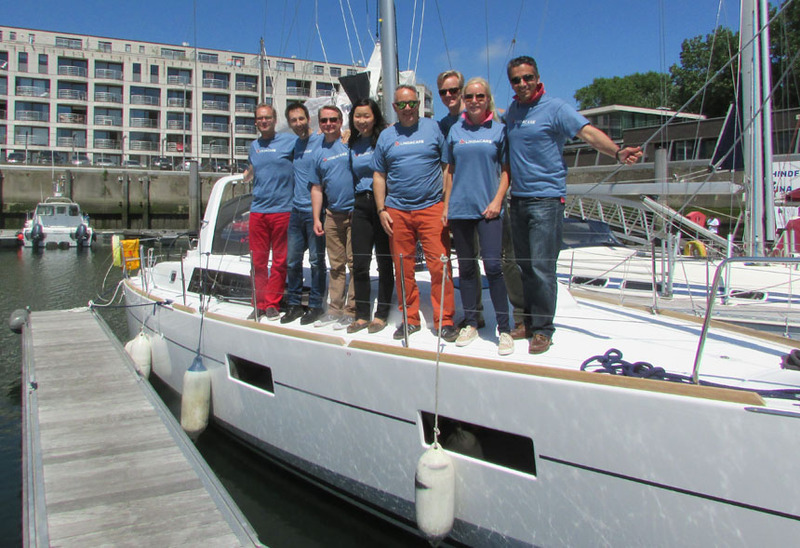 Sophie enjoyed a weekend of sailing on the ocean with her LindaCare colleagues.